Tony: I first remember wanting to be a writer when I was in grade school at St. Christopher's. The teacher-I think it was Mr. Click-asked us to write a fictional story where an inanimate object came to life. Mine was about the tree that gave its life to become the manger the Christ child slept in. I enjoyed writing the story, got really good feedback, and was hooked. Liz: I was in the honors college while attending Ball State University. When it came time to decide on an honors thesis project, I knew I wanted to do something creative instead of a long research project. I chose to write a children's book about some animals who reused and recycled to clean up their home and create a beautiful fountain out of their trash. One of my friends illustrated it as her project. By no means is this story ever going to be on the bestseller list, but it was a fun way to get my feet wet. Tony: I loved, loved, loved the Velveteen Rabbit, and still do to this day. The next books I remember enjoying were the Hardy Boys series. I could read one in a single day if my mom didn't make me go outside and play, but she rarely let me stay inside. LOL. Anyway, I loved going to the library and checking them out. Tony: Because I have a full time job with the Town of Plainfield (Indiana), I generally write in the morning before I go to work and on my lunch hour. Most mornings I get up around 5:00 and write until 6:30 am. Lunch hours vary according to my schedule, but I try to do 12:30 to 1:30 pm. I don't know that I have any quirks, but I can be very tired in the morning and not remember half of what I write until I see it at lunchtime. Tony: Most of my previous writings had been in first person. This one is in third person. After working on it, I discovered I prefer writing in first. Now that we've used third person in this book, though, I guess I better get used to it. We're committed to a three book contract. Liz: Just how much work, time, and energy go into every single step of the process of getting published! Tony: If I mentioned current writers, I know I'd forget half a dozen of my friends whose writing I adore, so let me talk about a few writers who have inspired me over the years: first, Thornton Wilder, whose body of work is limited but whose influence is not. His novels and especially his plays (Our Town, The Skin of Our Teeth, and The Matchmaker) have universal themes that will always resonate with humanity. Second, Robert Frost. Though he's a poet and I do not aspire to be one, I love the universality of his themes (as with Wilder's work), and the images and stories he created in his poems. Third, Agatha Christie. It was her novels and plays that inspired me to try my hand at mystery writing. Tony: As I mentioned in an earlier comment, Liz and I are committed to a three book contract. We just turned in book #2, so we have rewrites we'll have to do on it and also write book #3. Beyond that, we'll have to see whether Midnight Ink extends our contract, which we really hope they will! Somewhere in my partnership with Liz I'd like for us to try a love story under the Elizabeth Perona brand. We'll just have to see! 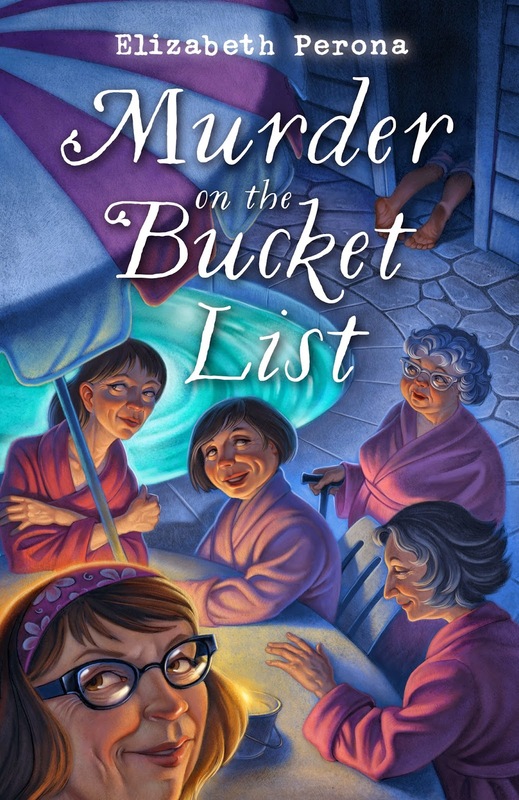 Win a print copy of Murder on the Bucket List. Giveaway ends 7/15/15. 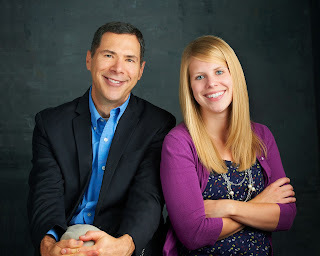 Thank you for this great blog:) Love finding out about the authors I read. This books sounds like a lot of fun and mystery. Sounds like a book. Looking forward to reading it. I can't wait to read the book! I'm super excited for Liz! This is my type of book! Love mysteries of all kinds, especially with interesting & quirky characters. I like to alternate between the lighthearted variety & the intense thrillers. Also, getting to know the authors is great. Makes one realize that we all might have a book or two in us! What a fun interview and that it's written by a father/daughter team! Thanks for the chance to win! 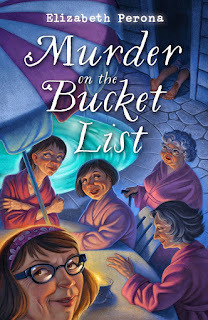 I love cozy mysteries, and this one sounds delightful. Sounds great! Sharing your blog post. Love a giveaway! This sounds like an interesting book with a unique cast of characters.